We are known for our live music every night, pub fare, cold beers and "The Langan's Lounge" (our private party room with outdoor balcony). Right in the center of everything, O'Brien's attracts a sociable crowd, a mix of local characters and sophisticated New Yorkers who want to have a good time. Everybody knows O'Brien's is easygoing and relaxed, with a great menu., and beer as cold as ice. Upstairs is The Langan's Lounge, perfect for your gatherings and private parties, with its own balcony overlooking 46th Street. You can't beat that.  O'Brien's was established and opened on December 5th 2005. We are known for our really good pub food, cold beers and "The Eamonn's Lounge" our private party room with outdoor balcony. We have live music every Tues, Wed, Thurs, Fri and Sun nights, no cover charge. We show all European and World soccer, Rugby and all Major Sports. All our TV's are HD quality.